The Jupiter is going to set between 12th November and 10th December. This time is not good for auspicious work. 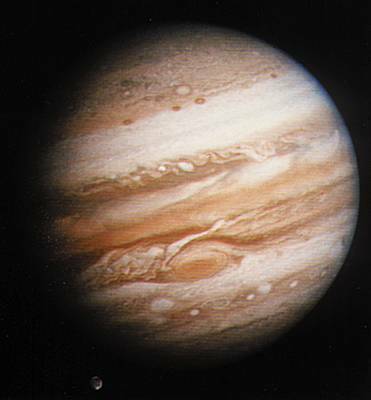 It is not auspicious to set Jupiter during good work. People can face problem in land related work. People can face pique with child. People can face problem in marriage related work. It is not beneficial to change the job. Nuisance will increase in society. The grain stores may face problem. The grain may become costly. Aries: Health becomes weak. Aries zodiac can face family problem. The luck becomes weak. Do meditation of favored god. Think before doing any work. Taurus: Take care of head, eyes and stomach. Keep calm in family. Taurus zodiac can face problem in marriage and marital life. Take care of veterans’ health. They can get benefit in employment. Do not keep overconfidence. Business remains weak. Gemini: They can face neck and waist pain. Self confidence can decrease. The time is not good for health. Take care of family. Take care of speech. They can face problem in business. People can face problem in spiritual and social work. Chant “Om Broom Bruhaspataye Namah”. Cancer: Cancer zodiac can face disease. Take care of your health. Take care of veterans. They can get sudden financial benefit. They can get benefit after hard work. Donate blankets to needy people. Leo: Leo zodiac can face stomach problem. The time is good for family. People can face problem in love relationship. The luck is weak. Businessmen can face problem. People can face problem in employment. Cover yellow color thread in right hand’s wrist. Virgo: Take care of stomach. Virgo zodiac can face problem getting in job. Keep patience. Do not increase enemy. The debt will decrease. Chant “Om Dum Durgaya Namah”. Libra: Libra zodiac can face cough or infection problem. People can get relief from stress. They get normal happiness from family. They can make new relations. They can get wealth. Avoid enemy. Live in the vicinity of idol. Donate food in temple. Chant Gayatri psalm in front of Sun. Scorpio: Take care of cough problem. They get mental peace. Take care of relations with siblings. Take care of old relations with friends. They may face problem in business and employment. The situation will improve after 12th December. Take advice from veterans. Sagittarius: Sagittarius zodiac can get fatigue. Take care of speech. They cannot concentrate on work. Take care while driving. They get success after hard work. Take care while making new relations. The fortune will decrease. Chant “Om Narayana Namo Namah”. Cover yellow color thread in right hand’s wrist. You can do turmeric tilak. Capricorn: The stomach, intestine and urine problem will be solved. Capricorn zodiac can face cough problem. They will get progress. They will get support from friends. They will get benefit in employment. The business can decrease. They can get benefit in finance and foreign journeys. Do not make enemies. Do not take loan. Serve cow. Aquarius: Aquarius zodiac can face health problem. Family can make progress. They can go away from the home. They can get benefit in education. Take care of health. It is beneficial to invest wealth. People can get benefit from IT sector. The business will improve. Pisces: Pisces zodiac can face health problem. Take care of liver. They can face family problem. Take care of relations with parents. The time is not good for business. Take decision after consulting. Do savings.